In 2013, the Plaintiff filed an application for social security and disability benefits due to a disability which allegedly began in 2012. The Plaintiff’s daughter acted as an interpreter during the interviews for the disability application and the Plaintiff’s daughter reported that the Plaintiff could not do anything more than write her name in English. In her disability application, the Plaintiff claimed she was disabled to due numerous physical conditions, including numbness in the leg, back pain, neck/brain pressure, memory loss, difficulty standing, and obstructive hydrocephalus, among other things. 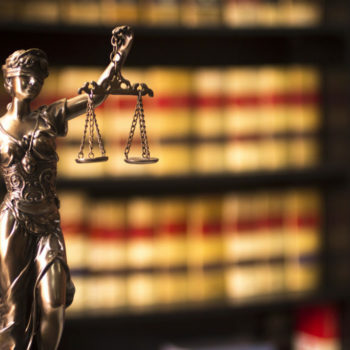 The Plaintiff’s initial applications were denied, but the Plaintiff eventually obtained a hearing before the ALJ regarding her disability application. At the hearing, the Plaintiff testified through a Korean court interpreter. A medical expert and vocational expert also testified at the hearing. The Plaintiff testified through the interpreter that she previously worked as a cook’s helper, a retail manager (she owned a Korean video rental store), and a home attendant/helper. During the hearing, the ALJ asked the VE a hypothetical question whether an individual with the Plaintiff’s same background, vocational history, and physical limitations could perform Plaintiff’s past work. The VE replied that the Plaintiff was capable of performing her past relevant work as a retail manager and as a home attendant as she had previously performed it. The ALJ asked the VE if her testimony was consistent with the The Dictionary of Occupational Titles (“DOT”), and the VE answered in essence that it was consistent with the DOT. Based on the VE’s testimony, the ALJ concluded that the Plaintiff could perform the same type of work as she had in the past as a home attendant and as a retail manager. Thus, the ALJ determined that the Plaintiff was not disabled and therefore not entitled to disability benefits. On appeal, the court found that the ALJ had committed various errors. Specifically, the court found that the ALJ had failed to make a specific finding on Plaintiff’s literacy ability and the record lacked evidence from which the court could discern her language ability. The court also found that the ALJ further erred by failing to ask the VE any hypothetical questions that included the Plaintiff’s limited English skills. Thus, because the record did not establish the Plaintiff’s language abilities, the court found that a conflict existed between the VE’s testimony and the DOT. For example, while the VE testified that the Plaintiff could perform the work of a retail manager, the DOT indicated that a “language level 4” would be required for a retail manager position, which requires an ability to read journals, manuals, and newspapers; prepare business letters, expositions and reports; and participate in panel discussions and debates, among other things. The court held that this conflict played a significant role in the case since the Plaintiff’s prior work as a retail manager was at a store that rented Korean videos; thus, Plaintiff likely communicated in Korean in this position. However, there was no explanation as to how the Plaintiff could work as a retail store manager given her limited English language skills. In its opinion, the court specifically held that: “[d]espite the well-documented record of Plaintiff’s English literacy limitations, the ALJ failed to determine whether or not Plaintiff was literate in English.” The court explained that, as set forth in 20 C.F.R. Section 404.1564(b)(5), “the ability to communicate in English is specifically important because English is the dominant language of this country, and as such, retaining a job may be difficult for someone without English skills regardless of the level of education a person has in another language.” The court also noted that the Social Security regulations are designed to take a person’s English literacy into account when determining a person’s education as a vocational factor. In holding that the case must be remanded, the court held that Plaintiff’s English language abilities had not been fully developed in regards to her ability to perform the same type of work she had in the past. Thus, the court remanded the case for further proceedings as appropriate. The case is Kim v. Berryhill, Case No. CV 17-3391-KK decided on January 30, 2018 by the U.S. District Court for the Central District of California. Contact All Language Alliance, Inc. today to reserve an English to Korean court interpreter for deposition or hearing, or a Korean language interpreter for an IME or a medical appointment. Latvian to English Legal Translation Services Read It!